A further reminder comes this week that despite much talk of the pressure on the legal market (see Comment: Things I would have said about the future of law if I hadn’t forgotten my notes), leading City players continue to be highly profitable with Linklaters announcing on Tuesday (7 May) that it is raising its salary bands for associates. Glencore Xstrata has promoted former Glencore general counsel (GC) Richard Marshall as its overall head of legal in the wake of its $66bn merger. Marshall joined Glencore in 2005, having worked at Cadwalader Wickersham & Taft. He moved to the firm’s London office from the Sydney office of Mallesons Stephen Jacques where he had been a partner since 1984. Latham & Watkins has recruited high-profile Norton Rose derivatives and structured finance partner Dean Naumowicz as the US giant makes its third senior City hire of the year. The Cabinet Office and the Office of the Parliamentary Counsel have published a very interesting report criticising the complexity and quality of legislation and suggesting a much greater willingness to do something about it through an initiative dubbed Good Law. Law schools have been dogged by controversy in recent years on both sides of the Atlantic but one of the UK’s major providers has a novel response: giving education away for free. BPP Law School this week confirmed that it is to offer a free qualification worth up to £16,500 to any of its legal practice course (LPC) graduates who fail to secure a job in the legal sector within six months of graduating. Allen & Overy (A&O) has won a place on Aviva’s top corporate panel after a lengthy review that saw Clifford Chance (CC) lose its spot as plc adviser. The move comes as Aviva also kick-started its UK and Europe panel selection process in mid-April, following an overhaul of its 280-staff global legal team. The review of the plc panel was led by general counsel (GC) and company secretary Kirsty Cooper and Aviva Group GC Monica Risam (pictured). 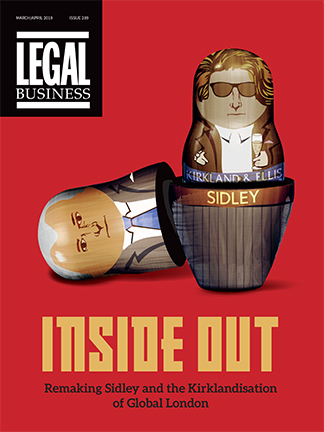 Antony Townsend, the man who led the Solicitors Regulation Authority (SRA) through its controversy-strewn separation from the Law Society, has today (2 May) confirmed that he is to leave the body. Chief executive Townsend announced that he is stepping down later this year once a successor has been appointed. He commented: ‘I have headed up the SRA from its inception. The pace of change has been relentless; the challenges have been formidable.